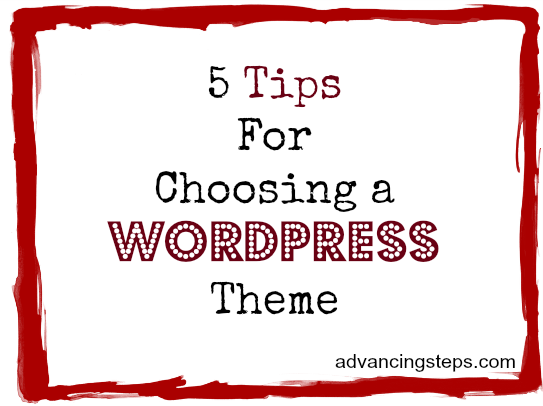 When choosing a new theme its important to make a checklist of the things you really want or need in a theme. If you’re brand new to the online scene it’s in your best interest to pick a theme with the major elements already included in the theme you choose. I made the mistake of picking a theme that is very customizable, but I was way too inexperienced to know how to use it. 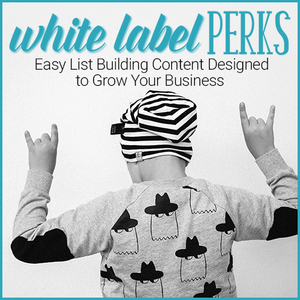 With learning how to build a business online I didn’t have the time to be spending learning how to customize my site but I was too green to even realize it so I spent an enormous amount of time trying to make my site look good. The problem is it just didn’t. So my advice is to decide the what is important to you and look for a theme with those elements. It might be that you are so new that you don’t know what you need. That’s okay too. I’ll go over some of the things that I think are important to a website and what I was looking for when I chose mine. You should have a plan about what you intend to do with your site which will help you decide which elements you need to look for in a theme. If you want to have a video blog, you may want different elements than if you are going to have a membership site or online magazine. Planning what you intend to do with your website can save you from spending money on a blog that doesn’t have the features you need or having to change your theme later after you realize you want to go in another direction. Tip #1: Know what your going to do with your site so you can choose the features that support your purpose. My very first website was atrocious. I couldn’t see that at the time because I was putting what I thought would be a good combo in real life onto the computer screen. This doesn’t always work. I was making and selling soy candles so I wanted a creative, eye-catching website. It was eye-catching all right, but in all the wrong ways. I wish I had a photo of how it looked but I guess all I can do is describe it. The background was black and white zebra print. The header was black with a purple candle burning and matching purple font. And the content space was black with white font. It was so hard to read! I didn’t realize it was so bad until I got a mini critique from Crissy Herron over at Indie Biz Chicks who was kind enough to tell me the truth about my site. She made me realize that just because those colors/accents may be a good combo in real life that it doesn’t translate to a beautiful website. Color is best used for accents on your website or to bring the eye to something you want want people to notice. Black font on a white background is easy to read and what most people are used to. It helps the reader to be able to consume your content longer without unnecessary eye strain. Read more about how using the psychology of color can help you choose colors for your website that are in line with your intentions. Tip #2: Pick a theme that has a light overall color, with 1 or 2 main accent colors. You can get themes that offer several different color combinations within the same theme. Social media is hot right now and most people know they need to be involved in one or more social networks. Social media integration means that the theme is prepared for you to add your social media information and the theme will integrate your WordPress site with your social media accounts. Choosing a theme that has the social media elements ready for you to plug your information in to will save you time and potential headaches. This makes it easy to link your accounts so your fans can find you as well as share your content on social media sites. Tip#3: If being involved in social media is in your plans (which for most of us means yes), get a theme with social media integration. Some themes come with only one layout which I wouldn’t necessarily recommend. Layouts normally range from having the sidebar sections on the right or left or both with the content area in the middle. Some offer duel sidebars on one side or the other and a full width content area. By choosing a theme that has customizable layouts built in, as your website grows and possibly changes, your theme has the capability to grow with it. Tip #4: If you’re going to spend money to buy a theme, be sure it has customizable layouts. Most free themes do not have a dedicated support team to help you when problems arise. You might find a forum or FAQ page but that’s the extent of it. Generally if you shell out for a theme your support is pretty darn good. I can speak from experience on the quality of service you get from StudioPress. Another thing to think about is that with a paid theme you usually get automatic updates. Tip #5: If having email or phone support to help you with questions or problems with your theme is important, go with a paid theme.